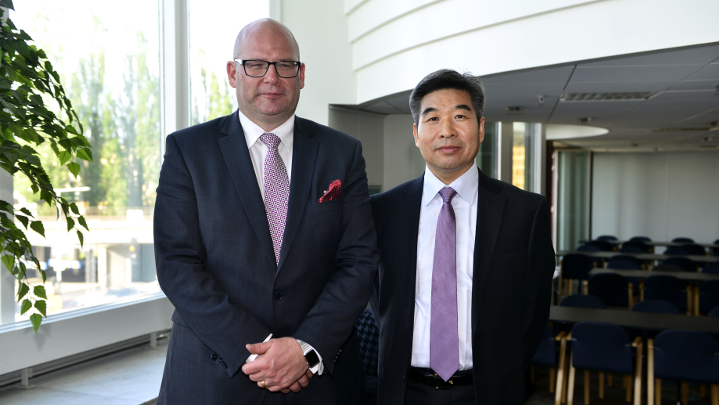 Pictured: Dr. Niklas Swanström, Director of ISDP, and Major General Liu Renxian, Deputy Director of Department of Operational Theories and Doctrines, Academy of Military Science, PLA. Picture credit: Lt. Col. Xie Feng, AMS. Since 2008, ISDP has jointly organized an international conference together with its partners at the PLA Academy of Military Science. These conferences, alternately hosted in Stockholm and China, have proven a crucial platform for high-level exchange and deliberation between Chinese and European policy officials. Upcoming conferences are also posted under the Events Page. 2016: Cyber Security: Identifying Threats and Charting a Common Defense. Read more here.